Facebook Messenger, the social network’s popular app that allows users to send messages to their friends for free, is now available on the Windows Phone platform. 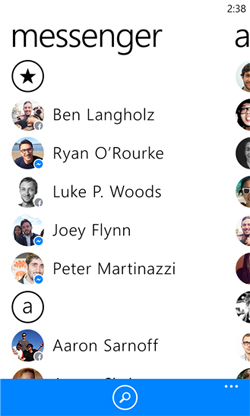 There’s nothing particularly new or exciting about the Windows version of Facebook Messenger and it has many of the same features as Android and iOS Messenger that we’re all already used to (except it’s missing voice messaging at the moment), like stickers, location sharing, photo sharing and group conversations. The app is available for Windows Phone now here.